In October, thanks to a recent grant from the Institute of Museum and Library Services (IMLS), we launched our upcoming Skills for Community-Centered Libraries training series. This ambitious program highlights the skills needed to deeply engage with the unique communities we serve every day. Additionally, we have hired several community organizers and three community initiative specialists. These staff members, embedded in neighborhood libraries across the city, have been instrumental in supporting the work of library staff and strengthening ties to our local communities, partnering to develop library outreach teams, assist with asset mapping, and help with programming. It is with this training, and the additional expertise of these community organizers and specialists, that we are building a foundation of comprehensive support and empowerment for libraries, patrons and community leaders across the city. And what have we been up to so far? Our community organizers and community initiative specialists have been building support and capacity among our Friends groups. A strong network of Friends groups can be vital in lending support to both the library and the community, but their roles are continuing to evolve as well. Newer and revitalized Friends groups are enthusiastically learning to do more than the occasional bake sale. They are becoming partners in community outreach and engagement. Community organizers and community initiative specialists serve as extra hands and ears to supplement the valuable outreach work that our staff are already doing. Community organizers and community initiative specialists engage with staff and patrons to co-create library spaces that bring everyone together around common goals. This post mentioned engagement, capacity building and outreach. What do you see as the difference between these distinctive and necessary pieces of work? How do you enact them in your libraries? In an upcoming blog, we will explore how the Free Library of Philadelphia defines these different types of activities. For more information about the Skills for Community-Centered Libraries Initiative, contact Project Coordinator Cameron Voss at vossc@freelibrary.org. 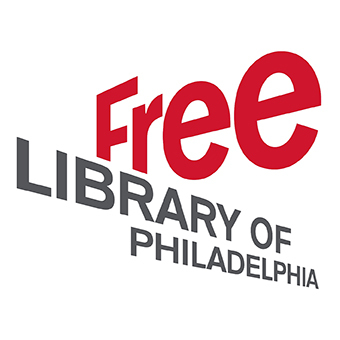 The Free Library of Philadelphia is fostering relationships with the community through staff training and community organizers.